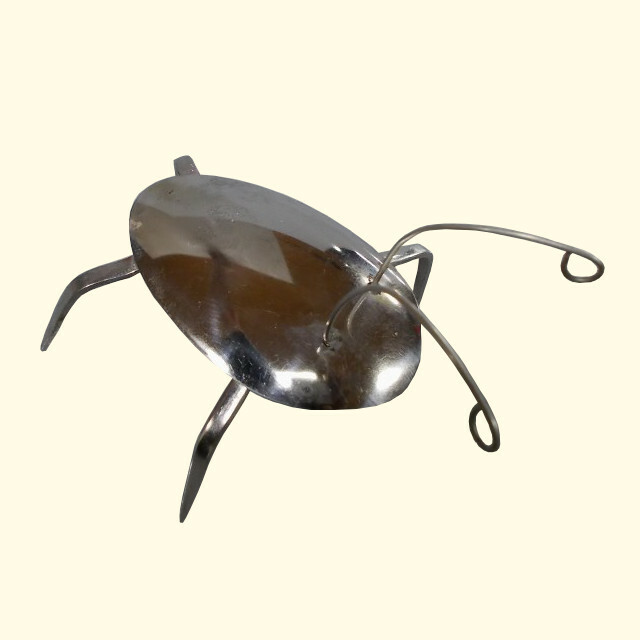 Flatware Bug - Carmichael Inc.
Start your own recycled flatware bug collection! This happy little beetle is hand formed and hand soldered from a vintage stainless spoon and fork tines with stainless steel safety wire antennas. Size is about 4″ long, and because they’re handmade, no two are identical. A truly one-of-a-kind gift or collectible.